LOOKING FOR A WARM INVITING HOME TO HAVE AS PRIMARY OR SECOND HOME?? LOOK NO FURTHER! 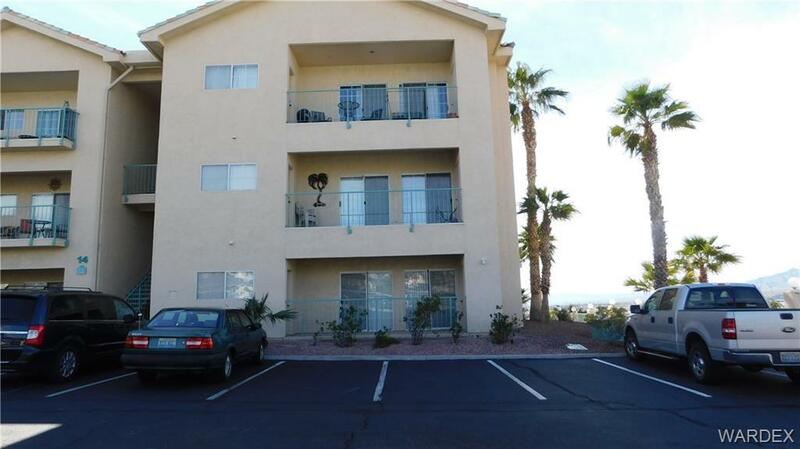 This lovely 2 BEDROOM, 2 BATH condo is move-in ready and located in Laughlin's popular South Bay gated community. Upgrades include remodeled kitchen with granite counter tops and travertine backsplash, new lighting, upgraded bathrooms and new tile flooring. Separate utility room includes washer/dryer. This gated community has a panoramic view of the west mountains and consists of a club house with a full kitchen, steam room, fantastic workout room, heated pool/SPA, barbecue grill, pickle ball court and a second heated pool/SPA overlooking the Colorado River and Bullhead City. Beautifully maintained grounds, South Bay community is located near Hotel/Casinos, fine dining, world class entertainment a the beautiful Colorado River.